Niagara Falls isn’t known as the Honeymoon Capital of the World for nothing. Thousands of couples each year descend on the region to celebrate their recent nuptials in one of the most spectacular and romantic settings in North America. From the thundering waters and picturesque vineyards to the exceptional hotels and restaurants in the area, Niagara Falls really is a great place to enjoy true love. Of course, every couple needs something to do with their time in addition to ogling the waterfalls and one another, and since eating also should come into play during any type of vacation, going for a romantic picnic is an idyllic way to while away the hours with your beloved. 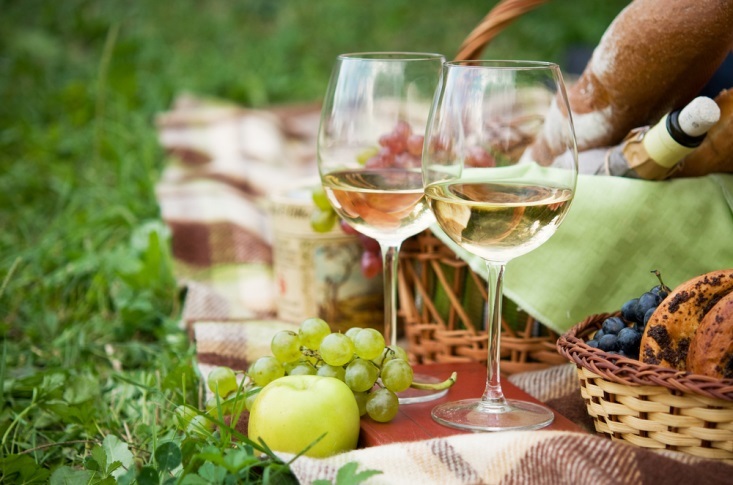 If you and your partner are looking to experience romance by staying in the Niagara region for a spell, here are some of the best places to go for a picnic. Since 1936, this 99-acre park has been drawing crowds from around the world, and these days find almost a million visitors enjoying the gardens every year. Beautifully and meticulously maintained by students of the Niagara Parks’ horticultural school, the Botanical Gardens includes many flowering trees, shrubs, and plants, as well as a special rose garden and herb garden. Entrance to the gardens is free, which means you can splurge on some local icewine, berries, and cheeses for your meal. Be sure to bring along a blanket, too. There are benches here and there, but you’ll probably want to find an out-of-the-way spot for a little privacy. The gateway park that leads into Queen Victoria Park, Oakes Garden Theatre was built in 1937 upon the site of a hotel that was destroyed by fire five years prior. Hotel ruins can be seen throughout the garden theatre, which is shaped like an amphitheater whose stage has the Falls as its backdrop. Iron gates, Queenston limestone, manicured beds, rock gardens, a long and curved pergola and much more make this picturesque space both charming and formal. Enjoy a picnic here with your beloved among the flowering trees and plants before wandering on through Queen Victoria Park. Located in the downtown area of St. Catharines, this two and a half hectare park is the site of numerous festivals and other local events, but its central location also makes it perfect for a picnic on the fly for the couple who has already been out and about in the city of St. Catharines. Designed at the end of the 19th century by Frederick Law Olmstead, one of the preeminent founders of landscape architecture in the United States, this park features plenty of shaded clearings perfect for spreading out a blanket, as well as a rose garden and fountain. Grab a sandwich or pastry and a bottle of wine from one of the downtown shops, and you’re just minutes away from a romantic and memorable time in one of the Niagara Peninsula’s finest city parks. Romance abounds in the Niagara region, and it isn’t just because of Niagara Falls. Pack up a blanket, your true love, and some food and drinks, and enjoy a picnic in one of these three tranquil spots.